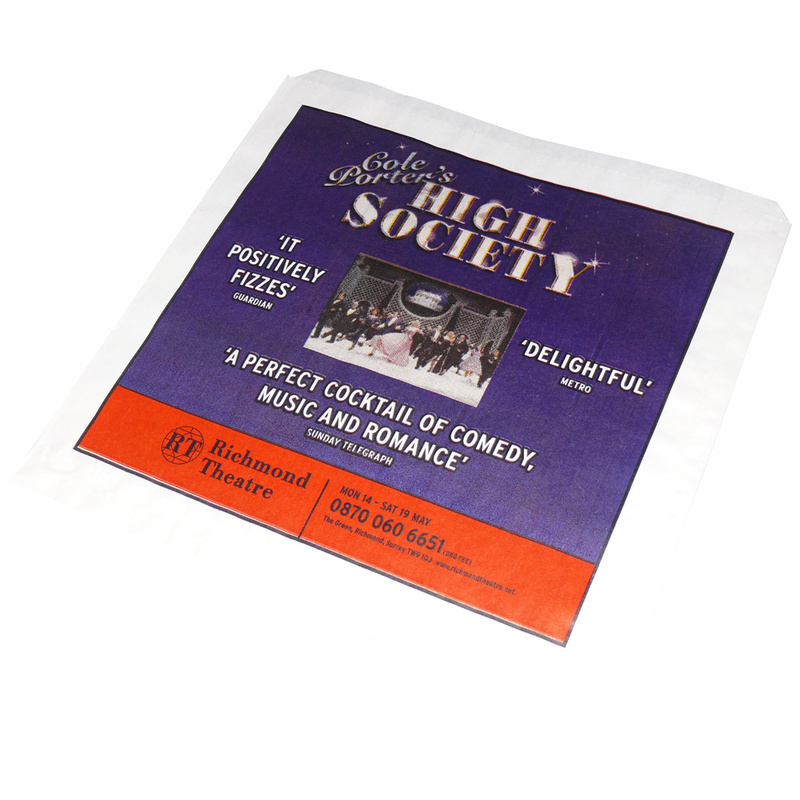 The paper counter bag can be printed with a full colour print to promote various events or products. The example shown here promotes a Theatre event. The bag is printed using a 4 colour process print (Cyan, Magenta, Yellow, Black - CMYK) and can be supplied in quantities from 25,000 upwards. Beckdale.co.uk arrange the production of exhibition full colour paper counter bags cmyk. Our in house staff have the knowledge to help shops purchase tailored full colour paper counter bags cmyk. To obtain choose by material or similar , contact Beckdale using your preferred method.